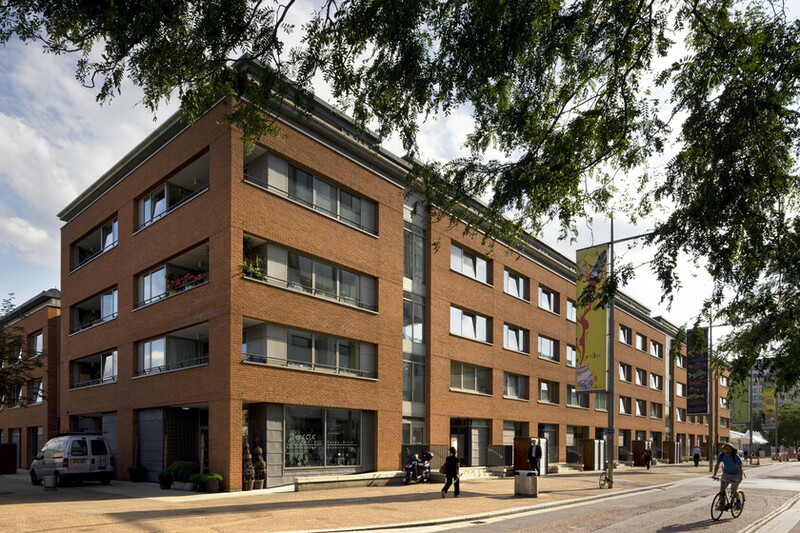 The Coin Street Housing Association was set up in the mid-1980s initially to develop the Oxo Tower and the surrounding buildings. 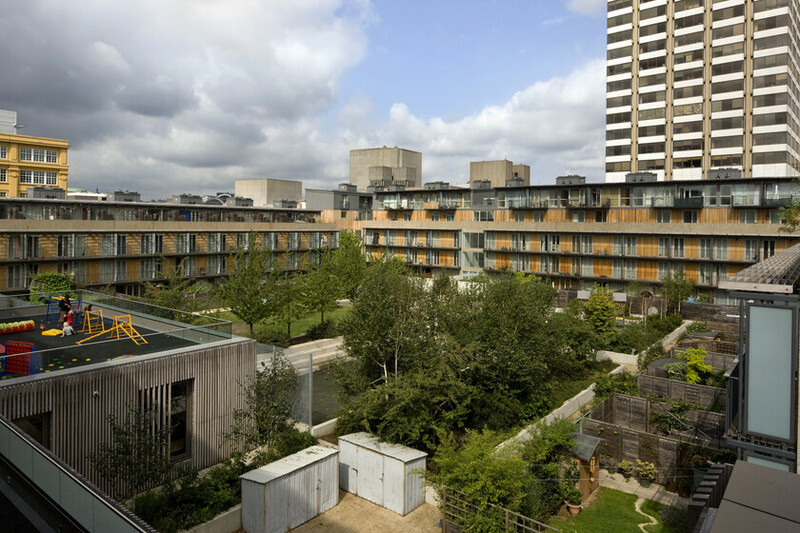 They have been instrumental in delivering some very high-quality housing schemes in this valuable area on the South Bank, just behind the National Theatre. 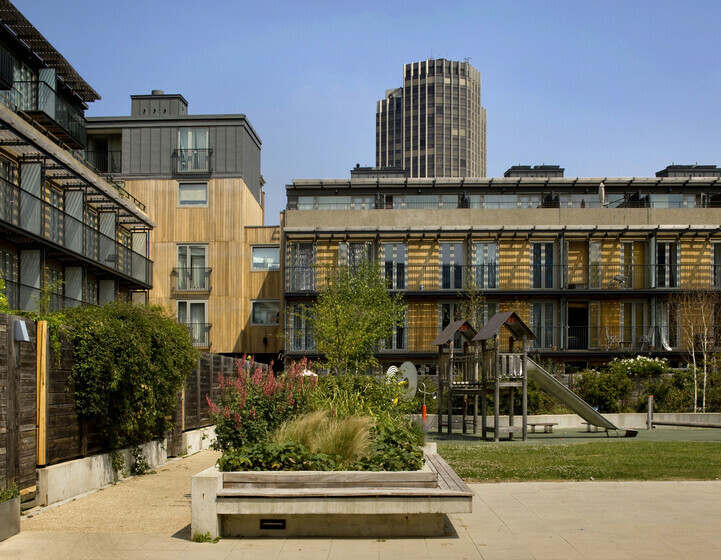 By the late 1990s they had become wellknown for their innovative and low-energy buildings and this project, which began in design in 1998, was set a class leading energy target of 60kWh/m²/yr. A typical Building Regulations compliant building from this year would have been at least double this consumption. 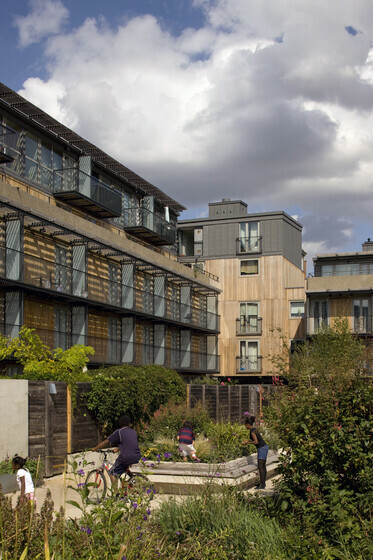 By the late 1990s Coin Street Housing Association had become well-known for innovative and low-energy buildings and this project, which began design in 1998, was set a class-leading energy target of 60kWh/m²/yr. A typical Building Regulations compliant building from this year would have been at least double this consumption. 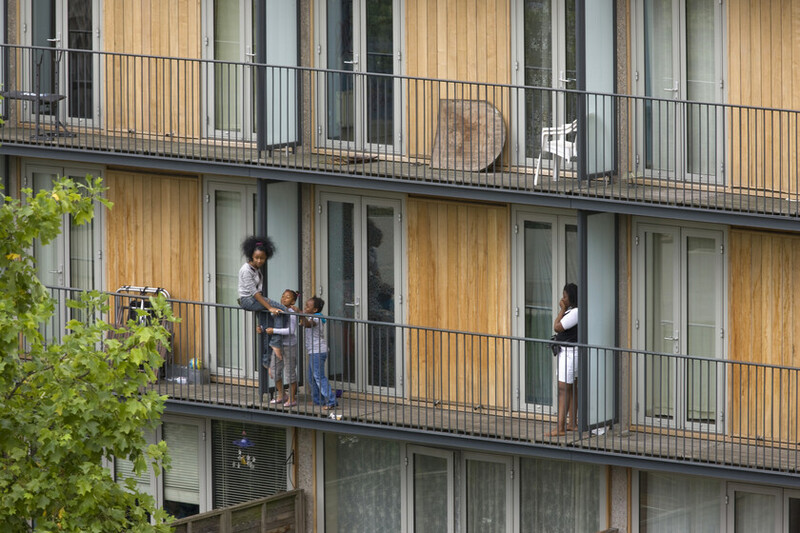 The development on a 13-acre site comprises 86 dwellings, mainly 3-4 storey town-houses with a number of 3 storey houses with maisonettes above. All dwellings are set above two levels of car parking which is operated by NCP and is used for both public and residents car parking. 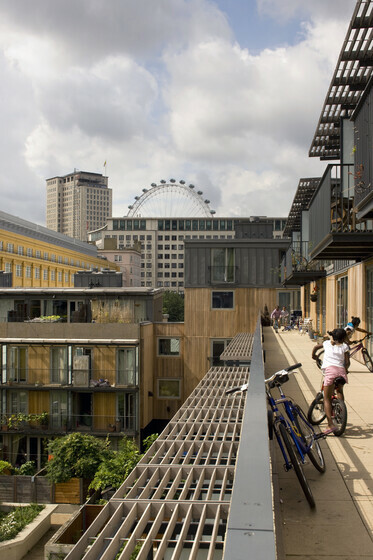 The below-ground parking ensures that the landscape around and between the buildings is not dominated by cars in the way that is too often the case in Central London. The low-energy ambitions of the project were achieved without an excessive cost premium through a combination of measures. Insulation values for the walls and glazing were considerably better than those required by Part L of the Building Regulations, the buildings were designed to minimise unwanted infiltration.